USB Turntable inkl. Kopfhörer Anschluss, Belt-Driven Turntable Mechanism, Manual Return Tone Arm, 3 Speeds: 33 1/3, 45 and 78 RPM, Dynamic Full Range Stereo Speakers, RCA Audio out. inkl. Bluetooth! 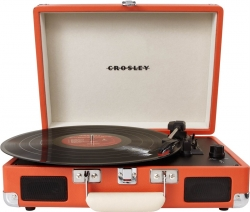 The one, the only, the original Crosley Cruiser incl. Bluetooth. 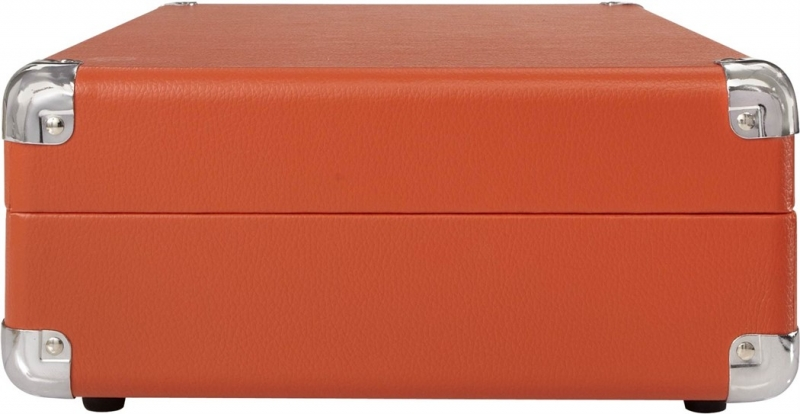 Lightweight in its charming suitcase-style shell, it's easy to use and a delight to hear. Built in speakers can music-share the old fashioned way, or have one-on-one jams with the headphone jack. 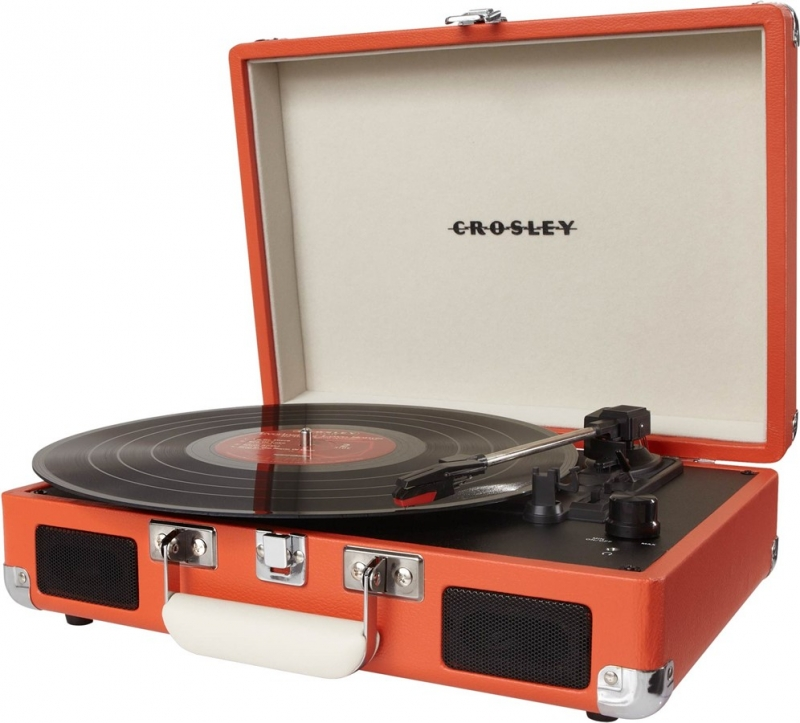 Choose from a rainbow of sound to start your vinyl adventure with this portable three-speed record player.